Many people come to me and ask, how does one make money from blogging? So I will break it down in an easy summary for you. Google AdSense is the best method of winning through a blog. What I mean is you can receive daily income even when you’re away from your computer. AdSense can provide a high CPC (cost per click). But one disadvantage is that it has a payment threshold of up to $100. It is like a pot full of gold. The AdSense program also provides useful content on your websites available in the ads. So this helps with the opportunity for a user to click on the ad to increase. 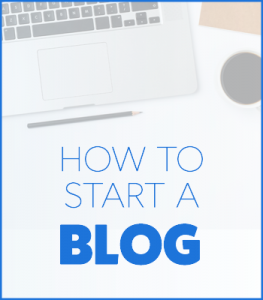 It is the best source of income for many bloggers today. So you have to try it and follow their guidance. ClickBank gives me the highest paid affiliate programs so this is why I can recommend this one. This is another tool where you can register easily and earn a good amount of money. There are no complicated hoops to jump through to join ClickBank. Therefore, it is also worth using this. But in my opinion, it makes sense to use it in combination with Google AdSense. The other method that helps you earn a lot of money is selling e-books online. Be careful when writing the material if you want to sell it on Amazon Kindle because they check that it is original first. Think about a book topic that someone will love to buy. Many recognized experts have gained much recognition from this concept. This is a better concept for the person who does not want to work on a website full-time or who has a good knowledge of a particular subject. Pro Tip: The books must be written in PDF format. You can also earn by providing some space for private advertisers that pay for you to promote them on your blog. There are many companies or websites that offer private ads and they take some commissions. Note: This is a slow profit process. However, what you can do is sign up for free on many websites like BuySellAds.com for these opportunities. This method works when many visitors visit the blog/website. In this way, a person provides the services that he can provide to visitors, this helps him earn money up to several times. These services can include coaching, lead generation, bookkeeping, consulting, web design, styling and the list goes on. This is a low-cost method to get started. Yet, it does require you to use your past experience or skills. Many bloggers create and sell their own digital products. Digital products are excellent because they do not require inventory and can be distributed quickly and easily. There are no overhead and low risk. Amazon Associates is the established internal affiliate program and you can sign up for free on their website. It gives bloggers the opportunity to earn commissions by advertising Amazon products on their website; your visitors can click on your blog on Amazon.com and buy them. You can make up to $38,000 per year or more from Amazon affiliate marketing alone. 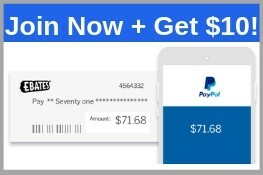 This is one of the fastest and easiest ways to put money into your experience. When you are publishing a blog and providing information in your market, you are seen as an expert in your niche. In many cases, people want to get personalized advice directly from the expert in their market. With the growth of the internet more and more people crave a personalised connection. So what you can do is place a page on your blog, but offer individual training to answer any questions you may have or advise them for an attractive fee. Do you still have questions on how does one make money from blogging? Tell me in the comments below and I will be happy to help. If you are interested in earning more money online, I have researched and shared several legitimate ways to do this. Take a look at the best systems by clicking here.